JK: Can you give our readers a little background on yourself before getting started? DW: I have a bit of an interesting background, over the last several decades studying integrative medicine in the areas of liver disease and G.I. in China. 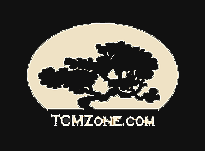 Then coming to the U.S. and moving from medical research and integrative medicine to now heading TCMzone, LLC. to become a leading supplier of herbal products for licensed healthcare practitioners. After almost 20 years as an herbal products supplier in the U.S., our products are in top US healthcare hospitals and educational institutions serving different types of practitioners. JK: How did this concept of TCMCeuticals come about and why did you think a new line of condition-specific clinical formulas was necessary for TCMzone? DW: TCM plays a very important role in China, Japan and other Asian countries as a mainstream integrative medicine in the healthcare systems. In the U.S. we see acupuncture as widely practiced and becoming more and more accepted by the public. But, traditional Chinese herbs are still considered to be a more minor portion of integrative medicine in the U.S. Many insurance plans cover acupuncture treatment but none for Chinese herbal medicine. When we talk with our practitioner customers who do practice and administer herbs in their clinics we hear such positive feedback regarding efficacy, simplicity of delivery systems and overall integration of the herbs with their routine clinical protocols. However, I still see a wide gap in mainstream usage of TCM in the U.S. vs. Asia and I want to see this narrow. One concept I’ve always had is working with successful practitioners of Chinese herbal medicine, well-trained in China with extensive clinical experience practicing in the U.S. Several years ago, I was in New York meeting with one of my medical school mates from China, Dr. Guoping Zheng. She was studying Gynecology and Women’s Health and is now running a successful practice focusing on women’s health and fertility. We began talking about this idea of using her vast clinical experience treating fertility patients in the U.S., plus her extensive knowledge of Chinese herbs to bring herbal usage to a broader audience. Allowing other practitioners to gain from her ideas, using her custom formulations built on years of experience to help more patients in the U.S. She was interested and over the years we kept this dialogue open, until recently she was ready to prepare 3 formulas for TCMzone, which we brought to our quality manufacturer for production, quality control tests and to market as our first TCMCeuticals formulas, Fertile Wisdom*. To summarize the concept behind TCMCeuticals, it is representing an unique product line that is composed of different herbal products, formulated by master-level practitioners with over 20-30 years experience in clinical specialty areas. They understand the common conditions of U.S patients in their specialty and come from high level training in China. We’re all familiar with the words of nutraceuticals, pharmaceuticals and even foodceuticals, now we are introducing the first ever TCMCeuticals. TCM+Ceuticals equals custom, condition-specific, traditional Chinese herbal products representing safety, efficacy and highest possible quality. These 3 important concepts are represented in our TCMCeuticals logo, the three yellow, natural earth pieces that support this product line. JK: You mentioned Dr. Zheng’s Fertile Wisdom line, can you tell us about each of these new lines and what makes them different from classical TCM formulas? DW: TCMCeuticals is a brand of herbal formulas that represent condition-specific formulas, this is important. Chinese herbal medicine is extremely broad requiring intensive understanding of many areas. We designed this product line based on experience of formulators and their in-depth understanding of Chinese herbal medicine. This opens the door for many practitioners in the U.S. to use these Chinese herbal formulas based on common conditions seen in their clinic. The first two lines we launched are for G.I. and Fertility, two focuses widely seen in the U.S. by not only acupuncturists, but many other integrative practitioners (N.D.’s, D.C.’s, M.D.’s) interested in progressing their integrative medical approach. TCMCeuticals provides a unique tool for the healthcare profession. The last 18 years, our approach has been providing high quality classical formulas and compounding single herbs in a variety of dosage forms, fundamental products for day to day use by Chinese medicine practitioners and acupuncturists. These practitioners can easily use our products with the support of our team and their knowledge of TCM. Our new line of TCMCeuticals represents a new concept of traditional herbal medicine, in that it’s a line completely formulated by practitioners based on classical formulas but also including their clinical experiences. These are not your classical TCM formulas, these are expert formulas, using TCM as a guide, but uniquely formulated for specific conditions seen in modern clinical settings. TCMCeuticals granules and capsules can be used alone or easily integrated with our existing TCMzone brands of classical formulas and compounding single herbs. JK: What is your vision for TCMCeuticals down the line? What do you hope to see with this new brand? DW: I am excited to see the launch of the brand new TCMCeuticals, this is a milestone for our business, I’m also very excited to see the initial results of this launch. We have received such positive feedback in only our first month and I feel strongly that the concept of TCMCeuticals, Safety, Efficacy and Quality is a strong foundation to support and grow this line. I’m hoping this condition-specific line will create broader usage among integrative medicine practitioners, representing an important movement for our company in supporting a vast number of practitioners, creating consistent clinical results, in the end helping the general public achieve better health. In addition to these first 6 formulas, we have plans for another 5 formulas launching later this year under TCMCeuticals brand. We’re looking forward to this line covering many conditions. My goal is for TCMzone to carry a broad selection of herbal products from classical Chinese formulas, Japanese Kampo formulas, compounding single herbs and clinically-driven formulas so practitioners and consumers have access to many different kinds of quality herbal products to reach optimal health. JK: Thank you Dr. Wen, this was very educational and we’re looking forward to another great new line at TCMzone!